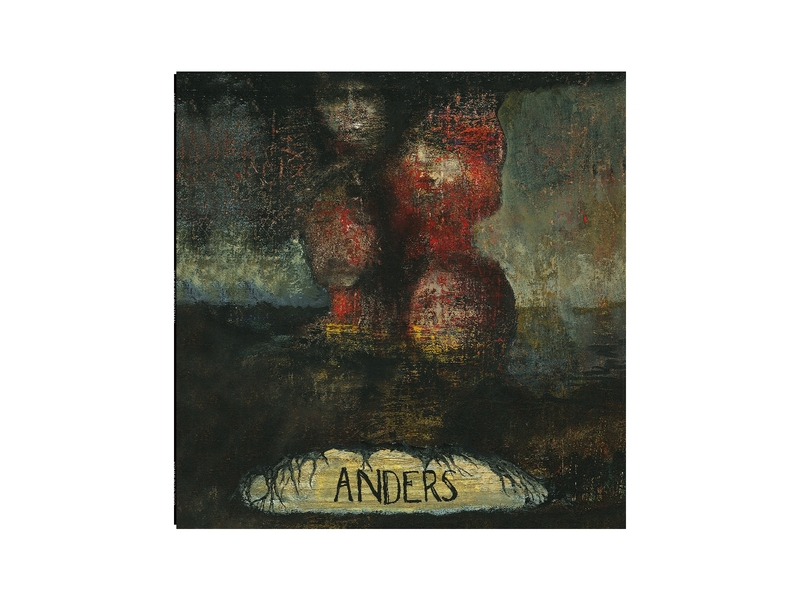 Anders, the drummer from the Danish band On Trial, has released his first solo LP. This is a limited edition vinyl only release in 300 copies with incense sticks and a cool poster by Sölvi. The info on the poster is pretty strange and two of the songs that guys from On Trial are suppose to have played on are not even listed on the LP (perhaps he changed the song titles after the poster was made). These tracks were recorded on a porta studio at various places in Sweden and Denmark over the past couple of years. Side A is characterized by Anders singing and playing most of the instruments (generally just guitar, bass and some form of drums, percussion) while Side B is more instrumental spaced out psyched rock stuff. Holding back the Tears starts the record off and this track will remind you of a more low fi version of recent On Trial material and you will get a taste of Anders laid back singing style. Isolater (True Love) has some psyched out guitar that sounds like Henrik (Hobbit) and is the most psychedelic track on side A. Off and Away features a more uptempo and acoustic guitar but the same soft stoned vocal. Keeping On is a melancholy track with some nice delay guitar. Confusion is Mine is another strummed guitar piece. He adds a bit of delay to his voice, which makes this one a bit more psychedelic. Unfortunately, the songs on this side are not that interesting and don’t really speak to me. I like side B much better and it starts with Drop your Bombs. Drop your Bombs is a pretty cool track with some added flute at the end. Just let Go has this slight western feel to it and has this psychedelic guitar buried in the undergrowth. It is one of the better songs. Help me Please, is a total psych freakout and sounds a bit like the HEADS but with a totally different singer. The LP ends with the long Falsehult and features Tobias (he owns the label) on bass and flute. A nice psychedelic forest trip to end Anders' first solo record. You can download the complete LP in MP3 format from the site below. Enjoy.